Featured Pinup of the Month: December! Although this part of my blog has been lacking the last couple months, it has not been forgotten! And once I’ve completed a big audition I have in under two weeks time, blog posts will be plentiful in supply! 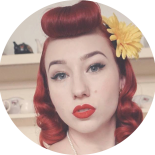 For this month’s featured pinup, I’ve chosen one very talented lady; pinup girls are never one trick ponies, but this particular lady does stand above the rest. Portuguese-born singer, dancer, and Hollywood star Carmen Miranda is this month’s featured pinup! Carmen Miranda began her career as a singer in 1929, where she soon became a star in Brazil , working for ten years. In 1939 she moved over to America, where she has a contract for broadway performances. In 1940 she starred in her first feature film in America, Down Argentina Way, which was a huge success in the states, and sparked her career in films where between 1940-1953 she made fourteen films. She became known as “The Brazilian Bombshell”, where she was also well known for her extravagant head pieces, including her iconic fruit hat. 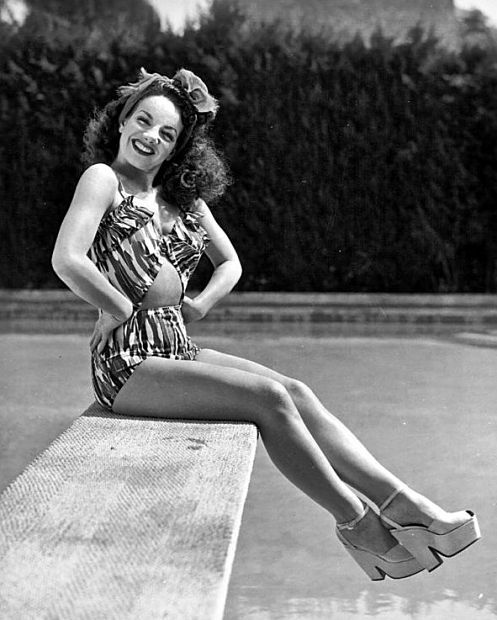 Carmen Miranda recorded close to 300 songs, on 140 albums. 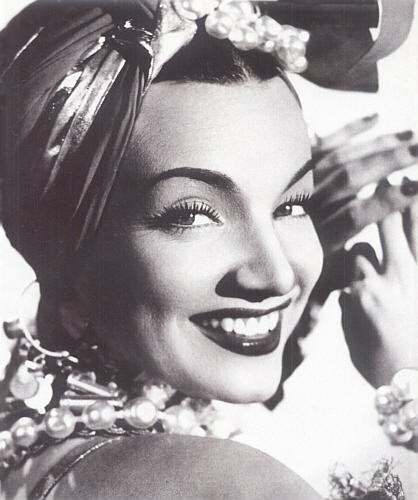 Though she unfortunately passed away of a heart attack at the age of 46, Carmen Miranda worked very hard to get the most out of life, and achieved so much. Her iconic image, and beautiful voice will live on far into the future. 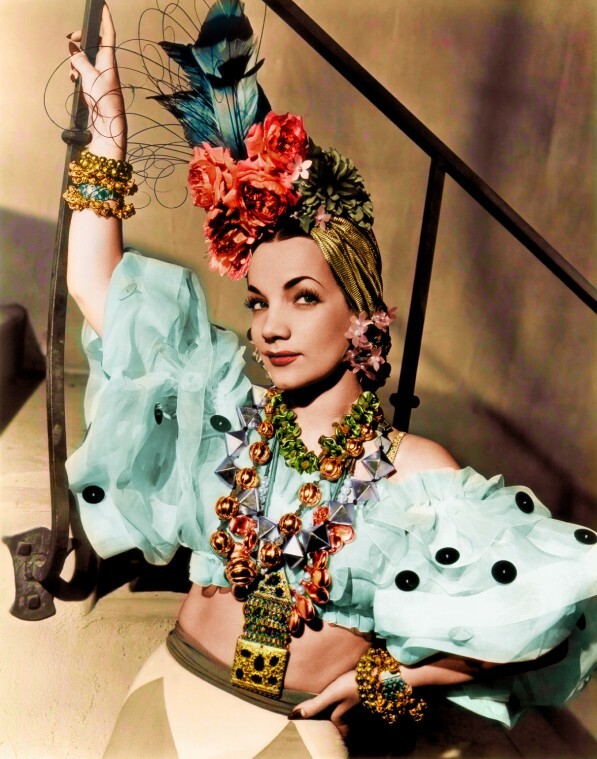 Totally agree with everything written about the beautiful Carmen Miranda, and love all the great pictures. When I was a kid, I would tie a towel around my head and act like her. I love that you chose her as your pinup of the month. This entry was posted on December 4, 2013 by Miss Lady Lace in Featured Pinup of the Month and tagged carmen, carmen miranda, featured pinup, featured pinup of the month, Lady Lace, lady lace's pinup blog, lady lace's pinup diaries, ladylace, ll, miranda, miss lady lace, pinup blog, retro blog, vintage blog.